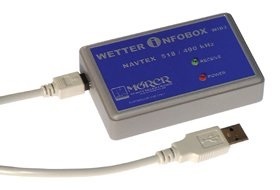 A connection between WIB2 and PC is made via USB. The WIB2 will be recognized as USB memory device. 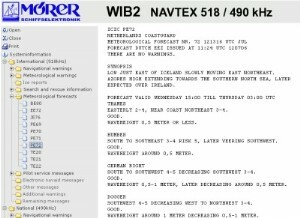 The NAVTEX messages are stored on this data medium in HTML code. The data can be shown an th PC monitor via a webbrowser. No software installation is necessary.